(AP) — The following is part of The Associated Press’ ongoing effort to fact-check misinformation that is shared widely online and work with Facebook to identify and reduce the circulation of false stories on the platform. This brief roundup offers some of the most popular but completely untrue stories and visuals of the week. None of these is legit, even though they were shared widely on social media. NOT REAL FLASHBACK: Former President Barack Obama did not kick out reporter at a 2015 press briefing. THE FACTS: The false claim resurfaced after a heated exchange Wednesday between President Donald Trump and CNN White House Correspondent Jim Acosta, whose White House press pass was suspended afterward. Following the suspension, some social media users then circulated a video they said showed Obama kicking a reporter out of press briefing. As reported by the AP, Obama was actually responding to a protester who was heckling him during a gay pride month reception at the White House in June 2015. “Shame on you, you shouldn’t be doing this,” Obama told the protester, adding he had the option of staying quiet or being removed. The protester was removed. NOT REAL: Speaking of CNN, anchor Don Lemon was not laughing as American flag burned. THE FACTS: An image circulating online that shows the CNN anchor laughing during an apparent segment about Democrats burning flags on Election Day was fabricated. A CNN spokeswoman told the AP on Tuesday that the image of Lemon, which was paired with a banner claiming “Dems celebrate ‘blue wave’ burning flags on Election Day,” is false. The banner identified the show as “Reliable Sources,” which Lemon does not host. 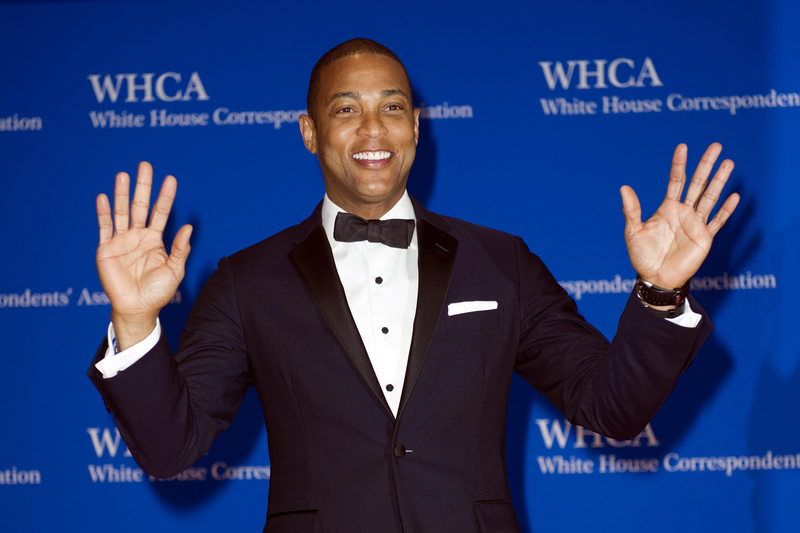 He is the host of “CNN Tonight.” The images of Lemon were taken from a February 2018 broadcast and show the CNN anchor giggling about a joke concerning former White House political aide Omarosa Manigault. NOT REAL: Voting machine in Ohio precinct was not rigged. THE FACTS: An Instagram video shared widely online Tuesday showed a voter selecting Republican gubernatorial candidate Mike DeWine on a touch screen but then receiving a paper record reflecting a vote for Democratic candidate Richard Cordray. The video was circulated on social media as evidence that a machine was rigged. Aaron Sellers, a spokesman for the Franklin County Board of Elections, told the AP in an email that the machine in question had a paper jam that showed a previous voter’s choice. Sellers says the voter who experienced the problem got a poll worker to cancel out the vote on the machine in question and then voted successfully on another machine. Fact: Jim Acosta refused Trump’s request to give up the mic because he’d already had more than his share of questions, then when she went to collect it, he pulled the mic back, and then hit the interns arm hard enough to knock it down when she went to get it again. Watch it on CNN’s own video if you don’t believe it. Fact: Acosta has had his White House pass pulled because of it. Fact: Acosta is rude, obnoxious and spouts opinion instead of collecting news. Manhandling the young intern was just the final straw. Wow. That’s all you have? Pathetic ramblings about Jim Acosta? Jim Acosta is a distraction and little else. He trolled Trump like a master and the Dotard fell for it like a donkey for a carrot. Acosta was brilliant. BRILLIANT!!! What’s next, Carpy? You gonna start your usual whatabouisms with Obama and Hillary next? Trump, 6 more years. Enjjjooooooyyy!! Facts can make liberal heads explode. Alternative facts don’t make heads explode. They make people angry. It’s pathetic that you think what he’s saying holds any merit. Drama queens unite. FACT: Trump is rude, obnoxious and spouts lies instead of collecting news. He has called our free press protected by the 1st amendment the enemy of the people when in fact HE IS. It’s gonna be a long 8 years for ya, Blue, and the first two are already giving you some gray. OMG …Obama is running for President ! FACT: Its horrible watching Trumps tin pot dictator style operate as president. Hes a moron. It just amazes me…..Trump will sneeze and people will say he spit at reporters. Yet Acosta is rude and obnoxious and is the poor victim. You can analyze the video from here to Sunday, but in the end – Jimbo still lost his press pass. FACT: Trump selected Whitaker to be Americas “top law enforcement officer”. Whitaker was caught defrauding the public in a scam and paid a $26 million fine it. Theres your guy, incompetent and crooked to the bone. If you will notice, all the fake stuff was spread by right wing republicans. If you will notice, this is typical LWL BS spin. NEVER are they going to point a finger at crooked and fake Democrats. What do you expect from meat puppets? Red blue needs to turn off CNN and find some legit sources that aren’t selling the liberal drivel. No wonder cable news viewers have CNN way down and Fox number one. There’s news and then there’s pandering to your market share as small as it is.